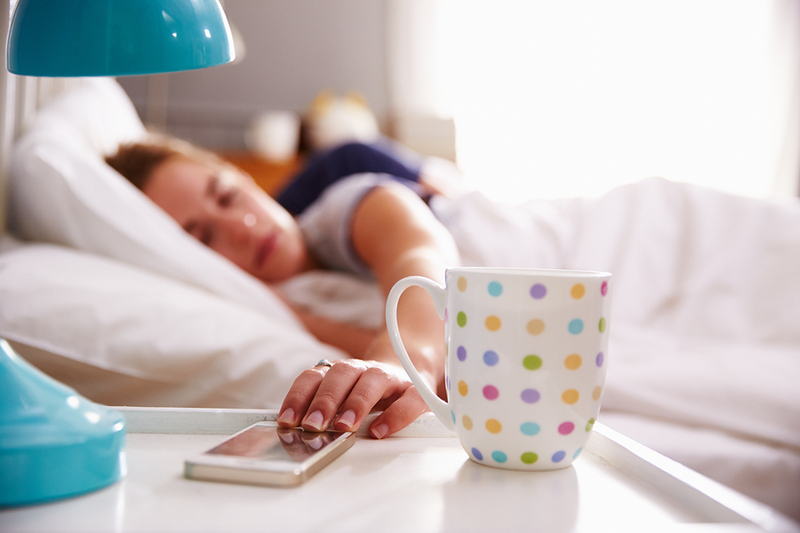 Do you keep your phone on your nightstand during sleep hours? Do you HAVE TO check email before turning in? Do you “relax” before bedtime with a couple rounds of Candy Crush or Angry Birds? If you answered yes to any or all of these questions—well, you’re not alone. A recent study showed that more than 60% of smartphone users between the ages of 18 and 29 sleep with their phones or tablets in their beds. It robs you of sleep. Sleep experts have in recent years discovered that chronic sleep deprivation is linked to our inviting smartphones and tablets into our sleep spaces. Studies show that the artificial light emitted from electronic devices activates certain neurons that stop our brain from alerting us that we’re sleepy. Screen light also disrupts the quality of sleep by messing with the body’s production of melatonin, the hormone that induces sleep. It comes between you and your loved ones. If you share your bed and the last thing you do before turning in is check your phone, you’re not exactly spending quality time with your partner. Practically by definition, your smartphone interrupts your immediate surroundings to put you in touch with less immediate surroundings. It keeps your mind from wandering (and that’s a bad thing). Some of the most common just-before-lights-out activities involving a smartphone or tablet—checking texts and emails, playing games—keep your brain too occupied to properly wander. And allowing your mind to wander in the minutes before sleep can supply fertile ground for inspiration and problem-solving. Charge your device in another room. Just as you need eight hours of uninterrupted sleep, tell yourself that your phone needs uninterrupted sleep, too. Find a place where it can charge all by itself. Buy an alarm clock. If you use your phone to wake you up in the mornings, consider investing in a good old-fashioned alarm clock. They’re cheap, they work great, and you don’t have to fiddle with it when you just want the time in the middle of the night. Pick up a book. While a round of Candy Crush on your smartphone sounds like a compelling distraction just before bedtime, an old-fashioned book is rewarding, and it won’t mess with your need for sleep. Put a book where your smartphone used to be and see how easy it is to develop a new, positive habit.